You are here: Home > MCSD News & Alerts > MCSD News & Alerts > Colorado News > Halloween 2017 at the Y! Halloween at the Y is a safe, indoor trick or treating experience for children 12 years of age and younger. There will be lots of games, activities, crafts, and fun trick or treating! 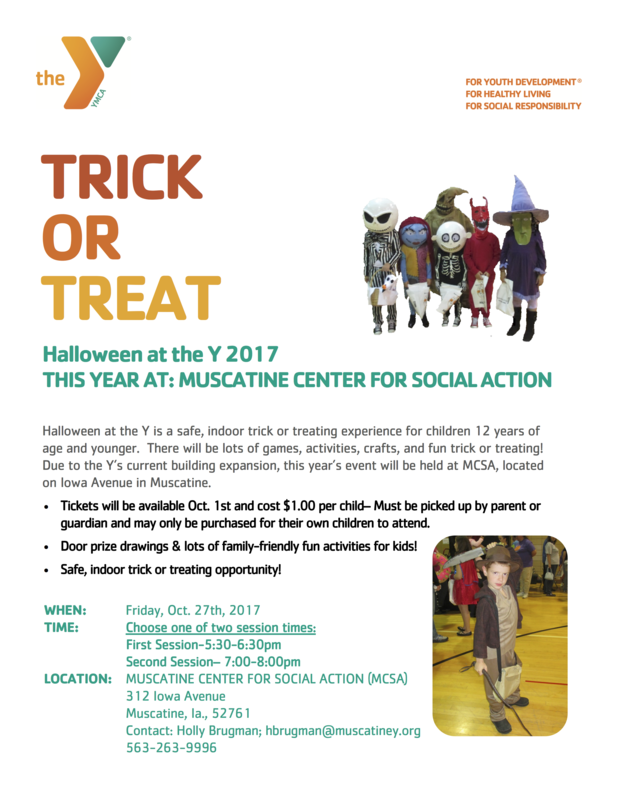 Due to the Y’s current building expansion, this year’s event will be held at MCSA, located on Iowa Avenue in Muscatine. Tickets will be available Oct. 1st and cost $1.00 per child– Must be picked up by parent or guardian and may only be purchased for their own children to attend.